Typically, the reform debate regarding the U.S. patent system features smaller players in the system on the one side, arguing for a return to stronger patent enforcement rights, and larger tech firms who would prefer to keep their market advantage intact by preventing competition. The first panel at the May 8th event sponsored by the International IP Commercialization Council (IIPCC) in the U.S. Capitol, however, featured representatives from some of America’s largest tech firms who acknowledged plenty of issues with the current U.S. patent system, which go way beyond any single company’s ability to sustain success. The panel, moderated by Center for IP Understanding (CIPU) chairman Bruce Berman, engaged in topics surrounding the uncertainty currently felt by players in the U.S. patent system, much of which has resulted from negative attitudes towards intellectual property which has been able to permeate the larger discussion on patent reform. This uncertainty regarding the U.S. patent system is underscored by the 2017 U.S. Chamber of Commerce Global IP Index report, in which the United States took 10th place in terms of patents, related rights and limitations, tying it with Hungary in terms of patent system strength. In each of the previous four editions of this report, the United States always took the top ranking among all patent systems. By contrast, the United States is still first overall, ranks first in copyright, related rights and limitations and ranks fifth in trademarks, related rights and limitations. Among the key weaknesses of the U.S. listed in the report are the substantial costs and uncertainty added by the country’s patent opposition system and a somewhat narrow interpretation of the patentability of biotech and computer-implemented method inventions when compared to international standards. Leading off the panel’s remarks was Manny Schecter, chief patent counsel for IBM, who noted that innovation is a risk-bearing operation. “The likelihood that you ever make an investment [into research & development] is based on the return you anticipate on getting in that investment,” Schecter said. Any reduction to the anticipated return caused by uncertainty in IP policy discourages R&D investment. Schecter added that one of the ways in which intellectual property promotes innovation is by preventing others from taking innovations which are not their own. “We want to minimize or control uncertainty in the IP space if we want to maintain an IP surplus and promote the viability of the economy,” he said. Laurie Self, VP and counsel of governmental affairs for Qualcomm, spoke to the fact that the current U.S. patent system created a difficult environment for entrepreneurs and startups to navigate. “One question we often ask ourselves is, ‘If this was the state of the law when we were founded in 1985, would we be here?” Self said. In the mid-1980s, Qualcomm was investing into R&D activities in mobile network technologies and many of today’s mobile products weren’t commercialized at that time. Without the ability to protect that investment with IP, Qualcomm wouldn’t have taken risks on long-term technological development. “For a decade now we’ve seen a well-choreographed propaganda campaign which has looked at innovation through the lens of litigation,” Self said. “It’s imperative that we start to understand the role patents play in driving venture capital investments and innovation in the long term.” Without a more honest assessment of the system, Self said that the winners and losers wouldn’t be Silicon Valley versus small startups but, rather, the United States versus Asia and other foreign markets. “You can talk about whatever else you want but unless you improve productivity, you will never improve society,” said Phil Johnson, former senior VP of IP strategy and policy for Johnson & Johnson. He spoke to the fact that, during America’s early days as an agrarian society, 90 percent of the country’s population used to do farmwork in order to sustain themselves. Innovation in the early United States allowed the country’s citizens to find other pursuits and different forms of work. The country’s Founding Fathers nurtured this innovation by creating a patent system which was available to all, not class-limited as European systems were, with a modest cost to file a patent application. Yet recent changes to the system have done much to cause concerns among the most sensitive parts of the U.S. patent ecosystem, including startups, individuals and universities. “I’m not sure if they feel that they can rely on the patent system to do what needs to be done to get from Point A to success,” Johnson said. From Left to Right: Bruce Berman (at podium), Manny Schecter, Phil Johnson, Marshall Phelps, Laurie Self, and Bob Pavey. The unique nature of the U.S. patent system extending back to its earliest days was also discussed by Marshall Phelps, former VP of IP for Microsoft and IBM and the vice chairman of CIPU. “Patents were issued as the divine right of kings before the U.S. system,” Phelps said, noting that pre-American patent systems would require applicants to seek the approval of multiple state offices and requiring two signatures from the state’s monarch. The American system, as it was developed in its earliest days, encouraged innovation from the society at large and it helped the U.S. surpass British patent grants by 1838; by 1885, the U.S. was issuing four times the number of patents that Britain’s patent office issued. “It’s obvious that our patent system created the most successful economy on the face of the Earth,” Phelps said. “The Constitution provides an incredible framework for what an innovation economy should be,” Self said in response to a question as to whether the U.S. needed comprehensive innovation policy reform. “The genius of the IP clause is it recognizes that if you create potential property rights through human ingenuity… then you create an incredible groundswell of productivity and innovation.” Despite the fact that this had been the mantra of the U.S. patent system for two centuries, the recent changing narrative behind IP has turned the value of the system on its head. “Suddenly, patents are pro-competitive only if owned by a manufacturer,” Self said. The best steps forward for those seeking to restore the U.S. patent system to a place where it benefits smaller innovators was to engage in a more educated debate on the subject. “We need to start talking about patents in a much more responsible way,” Self said. Pavey agreed, noting that there have been times where members of Congress have voted on bills affecting the patent system without a great understanding of the effects of those bills. Schecter added: “When is it the right time for Congress to realize on a particular matter that the Supreme Court is making policy rather than Congress?” In Schecter’s view, Congress needed to take the reins controlling U.S. patent policy away from the courts, which had already proven that they don’t have the answer. Although he was “perfectly happy” that Congress had taken steps to improve the defense of trade secrets with recent legislation like the Defend Trade Secrets Act, it doesn’t substitute for encouraging innovators to patent. “Patents promote the dissemination of information, trade secrets do the opposite,” Schecter said. 30k for a single patent is attorney fees + pto fees only assuming things go smoothly. The true cost is 500k+ per patent when company side invention staff is factored in. Larger inventions, all in, are 1-3 million. One thing they have right is that the more complex the system, the more expensive it is and the more it favors sophisticated players. 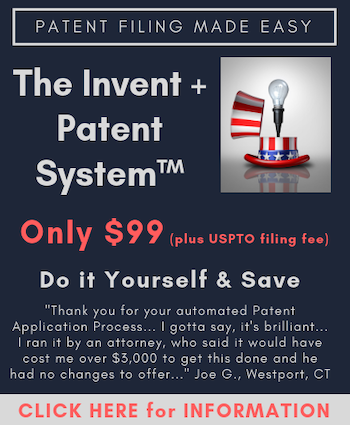 It is a known historical fact that the US patent system as originally designed was meant to be very comparatively inexpensive. Somewhere along the way, the notion of “that’s use cost as a dissuader” crept in, and soon after, the Game of Kings barreled on in. This of course suits those already well established just fine, as “cost” as a competitive weapon favors them while actual innovation – and especially disruptive innovation – is a game changer that – on average – is more detrimental than helpful to the bottom line of the established. Thus, what I have termed “Attack from the Right” is something that government needs to be vigilant against. More than somewhat difficult to do with the likes of Citizens United which puts government into the hands of the juristic entities with the largest voices (read that as largest wallets). This, too should not be considered the only force that innovation has to contend with, as the anti-property forces of what I term Attack from the Left exist as well. Left liberal (neo-communistic or even heavy socialistic) forces who abhore personal property would only love to see patents weakened (or disappear). Corporations have taken over the Patent System.